NEWARK, Calif. — May 3, 2012 — Today Logitech (SIX: LOGN) (NASDAQ: LOGI) announced the expansion of both its solar and tablet accessories lineups with the Logitech® Solar Keyboard Folio. Made for the new, third-generation iPad® as well as the iPad 2, the ultra-slim, book-style case and keyboard offer stylish design with protection, featuring a built-in keyboard that’s powered by light. Similar to Logitech’s solar keyboards for Mac® and PC, the Logitech Solar Keyboard Folio includes onboard solar cells that charge the built-in Bluetooth® keyboard in any light, whether indoors or outdoors. When fully charged, the battery lasts for up to two years, even in complete darkness (based on a average use of two hours per day). The Logitech Solar Keyboard Folio has two stand positions, so when you want to use your iPad you can choose the viewing angle that’s best for you. Open the folio and place your iPad in the first position to enjoy the full keyboard when you’re typing. Place your iPad in the second position and the first keyboard row acts as your one-touch media playback and volume controls, so you can play, pause and change volume instantly. The folio also has an instant On/Off function, which means your iPad automatically wakes when you open the folio and goes on standby when you close it. The Logitech Solar Keyboard Folio is expected to be available in the U.S. and Europe beginning in May 2012, for a suggested retail price of $129.99. 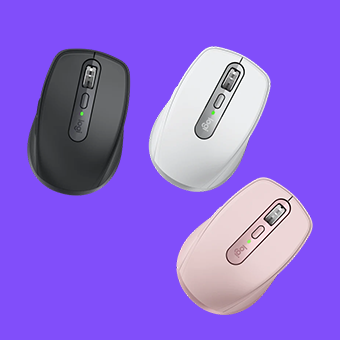 For more information please visit www.logitech.com or our blog.